Accelerated Amino Transport. Aminos are the basic building blocks of muscle. Aminos can also trigger anabolism, the cornerstone of muscle growth. As a lifter, you need them, especially the right ones. 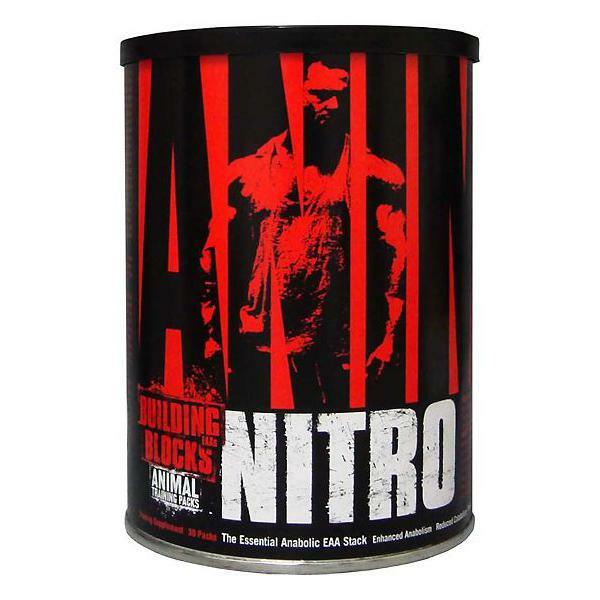 While there are nearly two dozen different amino acids, only a select few are absolutely essential for igniting the anabolic drive, as new research has shown. Not surprisingly, these required aminos are the same ones found in human muscle protein. 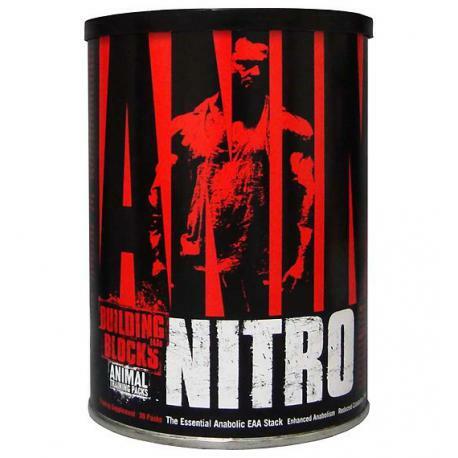 Animal Nitro is the first and only supplement that contains the correct ratios of those aminos based on human muscle protein itself. 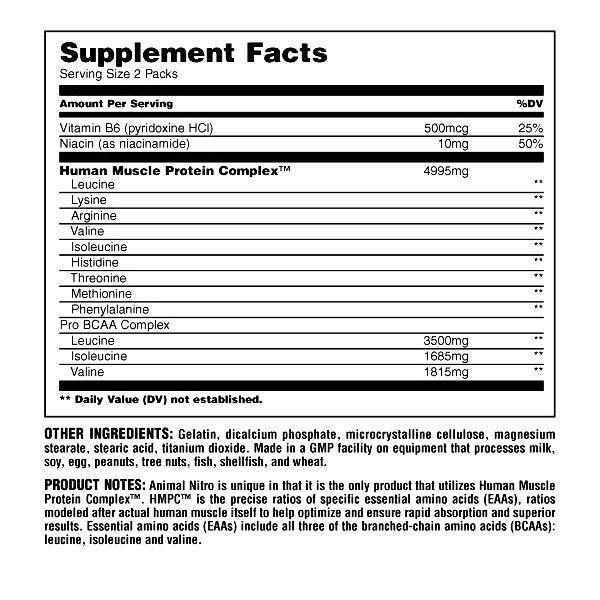 This complex of aminos is appropriately called Human Muscle Protein Complex™ (HMPC™) and they’re only in Animal Nitro. HMPC™ consists of special “uncoupled” aminos exclusively – those that are free of the chemical bonds that can limit maximum utilization. By using only 100% uncoupled aminos in HMPC™, Animal Nitro delivers a precisely controlled dose of aminos that are “targeted” to efficiently enter systemic circulation through a novel amino transport system. Here’s how it works.Each pack consists of a measured 6,000mg dose of uncoupled aminos (HMPC™). Once ingested, they form a special bolus (a protective “mass”) that allows them to efficiently bypass the liver. Now this is vital as the liver captures and catabolizes regular amino acids (like those found in protein powders such as whey and more conventional amino supplements) to urea, a waste product. Once safely past the liver, this bolus of uncoupled aminos enters systemic circulation, where they can exert their powerful pharmacological actions–vasodilation and anabolism. When combined with resistance training, Animal Nitro can actually help your body deliver more nutrients to your working muscles, recover more quickly, and build new muscle mass by enhancing protein synthesis, improving net muscle protein balance, and preventing muscle breakdown. 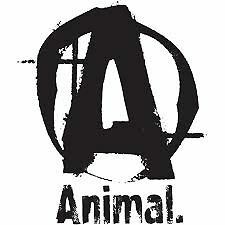 Gram for gram, nothing is as pure, as efficient, as potent, and as effective as Animal Nitro. It’s the gold standard among amino-based supplements. TTake one pack within 15-30 minutes immediately after training. On Training Days- Take 2 packs - the first one before working out, and the second one after working out. Whenever possible, take this product on an empty stomach, preferably with 240-360 ml of grape juice, or other juice.